I picked up a camera somewhere around my 12th birthday, and I haven’t put it down much since. I like to say that “I shoot babies.” It gets a laugh but it’s true. I love working with babies and especially newborns. I am always amazed at the depth of expressions a newborn makes. Also, teeny tiny hands and feet are awesome. In addition to photography, my passions include music, traveling, reading, publishing, digital media, and knitting. I especially love when all these things converge. My LinkedIn profile details my career in book publishing. 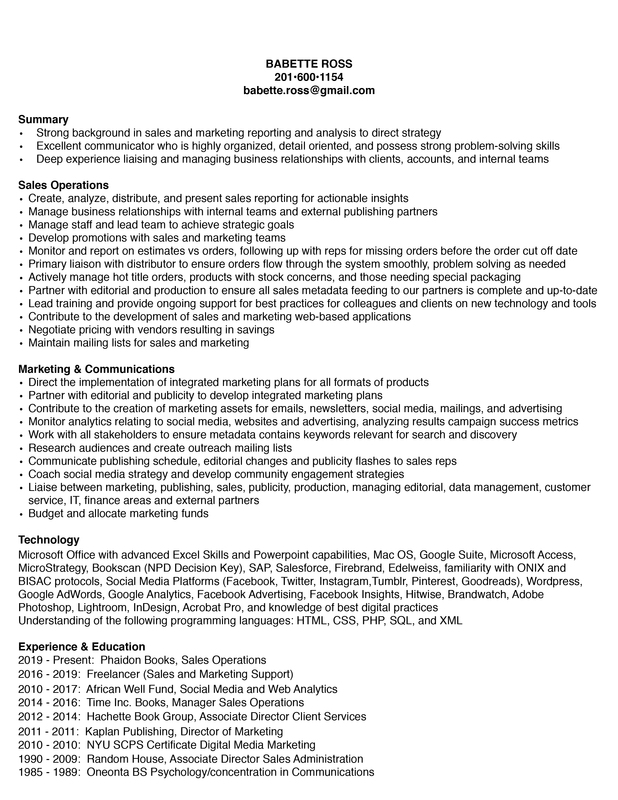 And this is the latest copy of my resume.